I feel truly honored to share Kelli’s inspirational birth story. After two attempts at home births ending with emergency c-sections Kelli knew this time would be different…This time she would have a VBA2C (vaginal birth after two cesereans). My VBA2C birth was nothing like I expected or hoped it would be (short and easy). Instead, it was long and difficult, mostly because I faced a lot of emotional hurdles throughout. At first, I was disappointed by this and in myself. Then, I realized it was exactly what I needed and made a profound exclamation point in my birth journeys. As I sit next to my sweet snoozing boy, I reflect upon how healed I feel in every way, how very rewarding it all was, and how grateful to God I am for the entire experience. I did a lot of work to get my VBA2C. Starting at the beginning…I attempted homebirths with my first two babies, the second an HBAC attempt. 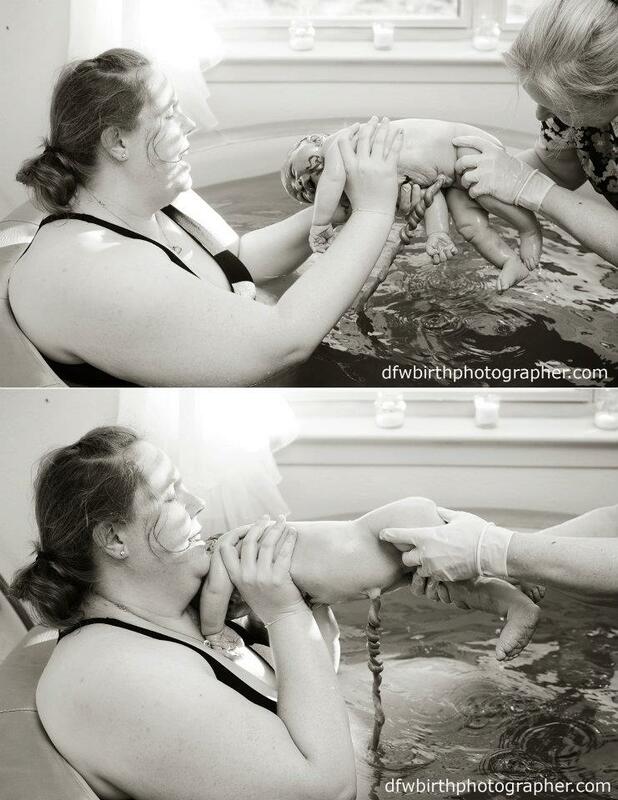 I used a midwife and thought that meant she trusted birth, babies, and bodies. As it turned out, she gave me many reasons to doubt and distrust myself and others when it came to birth. With mostly uneventful pregnancies, I ended up being induced with castor oil and herbs, with AROM once labor kicked in. My babies grow large (her main concern), and both were not positioned well before induction. Both times, I labored to 8 cm, transferred (unwillingly and without much cause) to our local hospital, and was sectioned. Both times, I felt like a failure, like I’d been failed by someone I trusted, and dealt with depression. I had two c-sections under my belt and was told there was no reason to try to for a vaginal birth again (and I wouldn’t be allowed to) – I was doomed to sections and a very limited family (maybe one or two more kids). A pretty devastating blow. I learned through this process that all midwives are not created equal and choices like who to trust with my births should not be based on conveniences like distance or cost. I’m so thankful for two major things: 1) that I didn’t listen to the ‘must have c-sections’ propaganda and 2) that I found my midwife, Molly Germash. Armed with facts and encouragement from her, I started on my journey to VBA2C. I found supportive people, read birth stories, researched medical studies, changed my eating habits, saw an amazing chiropractor, and prayed through everything. Molly helped walk me through the emotional trauma and make conscious better decisions about so many things; I emerged out of the funk I’d been dealing with for years. She set up an amazing team for my support…herself (with so much skill, experience, and beautiful encouragement), Emily Germash (our second midwife, who proved herself invaluable and timely throughout my pregnancy and labor), Jenni Rongey (our birth assistant, who had a 30 hour labor and VBA2C 11 months before me, rarely left my side and always knew just what I needed), and Dr. Chandra Crisp (our chiropractor, who made pregnancy a breeze with no hip pain, fixing other ailments, keeping baby positioned well, and adjusting me right into delivery). Molly also helped me wait on spontaneous labor (which came 18 days past my due date) and find joy and peace in being pregnant. She addressed my whole person, and I felt well and confident early in pregnancy. There was no doubt or denying what I wanted. Still, I apparently had more work to do that could only be done through the reality of labor and delivery, which I think surprised us all. The night before labor begin, I felt different, had a few good contractions, and sensed things were starting. I packed, warned the hubby, and we ran some errands, had dinner, and watched a movie. In hindsight, I wish we’d gone to bed before midnight. Wednesday, December 28th 3:28 am: I had four strong contractions in bed, sleeping in between. I decided to use the rest room and found what I thought was bloody show. The UCs (uterine contractions) were closer once I was up, and I woke the hubby to tell him I was jumping in the shower and then would try to come back to bed. They were coming 3-5 minutes apart, and while manageable, we had a 2.5 hour drive to the birth center. I heard my husband packing the car and realized he had made the decision to get on the road. I want to note here that we did a lot of driving during pregnancy and labor to get me my VBA2C. Our midwives were 2.5 hours from home and our chiropractor an 1.5 hours. Regardless, it was well worth the time, gas, and energy. So worth it, that we will repeat this process for any subsequent children we are blessed with. I would much rather drive to an excellent midwife than settle for one not as experienced (especially with VBAC mommas) but closer to me. I tried that with poor results last time. UCs spaced a little on the last leg of the trip, but I figured my body was giving us time to get to the birth center. We arrived at the center at 7:30 and settled in. Our first check – 3 cm, 0 station, 75% effaced. It’s not great progress, but it’s better than my last prenatal appointment. I labor, eat, move around, nap a little, sit on the ball, take a drive. We go to get lunch and UCs pick up in frequency and intensity, so we head back. 1:25 p.m.: 3.5 cm. I’m pretty disappointed with just a 1/2 cm of progress. And this is when my mind begins to work on my emotional baggage. From this point throughout labor, I ride the emotional waves up and down. We all have a chat and decide a trip to the chiropractor is in order. Unfortunately, my regular doctor is out with a bug. We agree to see her partner, and begin the hour and fifteen minute drive to her office. Two hours later (5:25 p.m.), after the adjustment, we are back at the birth center. 4.5 cm, 0 station, 95%. I’m pleased with that, but tell my team how I expected this to go. Like our others – fast through 8 cm. Then the lengthiest part of labor being those last 2 cm and pushing. I never expected such slow early progress, and it’s disappointing. This is my first really good pep talk from my team (one of oh-so-many, lol). Molly explains the importance of surrendering to how this labor is going and letting go of my expectations. UCs pick up once I’m feeling encouraged, and I get in the tub for the first time. 9:15 p.m.: 5.5 cm. I try to rest, but it’s difficult. It’s been four hours, and I’ve progressed 1 cm. I tell my team I’m struggling. I’m beginning to feel exhausted and my emotions are high again. I want this so badly to work, but I’m really doubting my ability to manage this slow, hard progress. Emily really steps in at this point. She is insightful (and proves to be over and over again) as she pulls me out of the wallow and encourages me to move with contractions. She has me dance with my birth playlist straight through the contractions. I do it for two hours before tiring, with UCs 2.5 minutes apart. I feel amazing with energy. Thursday, December 29th 3:10 am: 7 cm, +2 station, 95%. And I’m pretty elated with that news. More time passes and more of the same – eat, rest, move, drink, pee, ball, contract, labor. 7 am: a little stretchier, everything else the same. At this point, I’m begging for relief, for sleep, for a plan, and I’m pretty sure, for an epidural. I’m definitely tired and feeling pretty hopeless about going forward. We consider AROM to move things along, but I feel too uneasy about how it’s so not worked in the past. A check during a contraction reveals a bulging bag, but not much force on the cervix. My team gets me up and moving again, knowing that my UCs are closer and stronger when I’m up and active instead of trying to rest and manage while feeling worried and tired. They’re doing a great job of leading me back to the work of labor when I’m feeling discouraged. I also want to mention here that we’re pretty pro-homeopathic remedies, and I’m getting some infusions of Bach Flower Remedies to address my mood and emotions along the way. They work quickly and well and rejuvenate me every time. We go for a walk/march/dance in the cool morning, another Emily inspiration, and decide when returning that I need another adjustment from our chiro. 11:30 am: UCs every 2 minutes after adjustment. I lay on my side on the way home so I don’t undo all of the doctor’s work. We begin the drive home, and I begin transition. We hit traffic. I’m feeling pushy at the heights. It’s a pretty challenging 2 hour drive back to the birth center, and other than feeling what you feel in transition, I’m encouraged that I’m in really good labor now. 1:35 p.m.: 9.5 cm. And there is rejoicing, a little shouting, and some serious tears of joy. It’s the second best moment of the day…my body is not broken, IT’S WORKING! I think it’s the first time I’ve actually believed that the birth was going to happen. I’ve never been this far into labor before, and it feels pretty amazing. I get into the tub, waiting on the last 1/2 cm. After a while, Emily prays for me, as I’m feeling pretty fearful of the pushing stage. I’m scared it will be long and more pain than I can manage at this point. Everyone takes turns touching me through contractions, as it’s the only way I can remind my body to relax and welcome the UCs. I really do have amazing support through this long process. 3 p.m.: still some cervical lip. We decide to have Molly push it back instead of waiting more, as my energy and patience is seriously waning. I’m in the McRoberts position to try and get baby past my flat pubic bone. We also decide on AROM because my bag is refusing to break but rather just ballooning with my effort to move baby down. This point in labor triggers one final emotional moment. My previous labors featured intervention so prominently that this all feels too close for comfort, even though I’ve requested both AROM and moving the lip. I ask for a break, get back in the tub, and give self-sabatoge a good go. Our birth assistant, Jenni, who’s been a Godsend during our labor, encourages me through this moment. Our labors have turned out to be very similar and while we never could have predicted that, having her there has been one of my favorite things about my birth. I realize that I’m not going to be able to just manage through these much more powerful contractions, and with a few more words from Emily and Jenni, I’m ready to get this birth accomplished. I get back into McRoberts on the bed, use the pull rope and start giving the contractions all I’ve got. Three good UCs and baby’s head is fully visible. I’m ready to push baby out, and it feels surreal to finally be at this point in labor. I shuffle down the hall to the birth tub, which was an incredibly awkward walk with a baby so far down in my pelvis, but I really want back in the water. After getting in, it’s just a matter of breathing the baby out. I let baby come down and back countless times, letting everything stretch to avoid tearing. Nine minutes later, I birth the head and my body unvoluntarily pushes most of the baby out. 4:32 p.m.: one small push later, and there is sweet relief…baby is here! I turn around as Molly hands me our second son and there it is….my complete and utter joyful reward. I am stunned and thrilled all at once; it’s a blissful memory. I still have moments where I can’t believe it, but at that moment, I’m so proud of myself for fighting fear, triumphing over the struggles, and getting through all those moments of doubt and disappointment to push my baby out. 37 hours after my first contraction, 19 days past my due date, our sweet boy is earthside. He weighs in at 11 lbs 12 oz, 22.5 in long, with a 15.25” head. My biggest c-section baby was one ounce smaller and had a 14.5” head. I pushed out my big boy with no drugs and only a small internal tear. I am glad that I had the labor I did. In fact, I’m incredibly thankful. From it, I learned to trust my birth team emphatically (how many providers would have given up on me? – they never did), my baby to do his/her job (no matter their size! ), my body to work the way it was designed, and myself to endure and get the task done. There is so much healing in all of that. 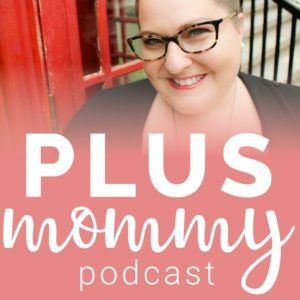 I know not all mommas (or specifically VBAC or VBA2C mommas) will experience the emotional side of labor to the extreme that I did, but I’m hoping that by sharing this and how it affected my labor, it might help them be prepared in case they do. And that they know it CAN be done, no matter what we’ve been told or lead to believe, or even when it seems impossible or hopeless. It’s taken me five years and three babies and births to do what I’d hoped to do from the beginning – birth our babies peacefully and naturally outside of a hospital. But, I’m really grateful for my journey – to have had a successful VBA2C, to embrace the opportunity to have the large family we’d love to have, and to grow as a woman and momma. Below is a link to the images our birth photographer went above and beyond to get for us during our long labor. I’m so glad to have her photographs documenting my journey, to remind me of the work and subsequent joy. The song in the background became my birth anthem and played on repeat a lot during the end of my labor, spurring me on and reminding me of what eventually was true…when that baby was laid on my chest and looked into my eyes, it was SO worth it all! 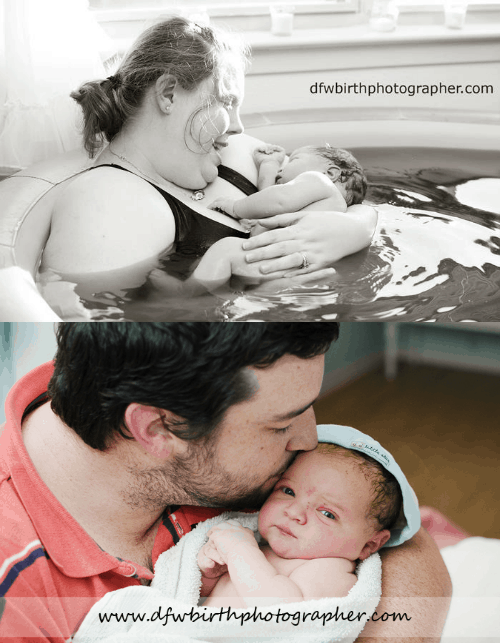 Click here to see Kelli’s breathtaking birth story told with stunning photographs. 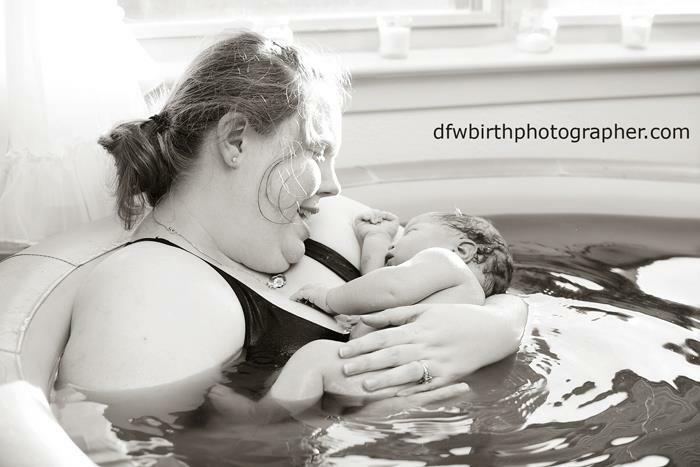 You might also like to read Sarah’s Plus Size VBAC Homebirth Story. How wonderful! My LO got “stuck” and I had a c-section for my first delivery and would love to do a vbac for future children. How did you find your team? Hannah, I connected with my provider by joining my local ICAN group and getting recommendations. I hope you are able to find someone that will truly support you! Good luck! I am so extremely glad I found your story! It gives me so much encouragement that my next birth will go the way I’m hoping! My first was c section because he was breech, my second, c section because of a low heart rate. I had so much fear that I would never be able to accomplish a vba2c but after reading your story, I’m so hopeful! I would like to ask how long after your 2nd c section did you get pregnant with your 3rd?